INTERESTED IN THE GREAT IMPONDERABLES? 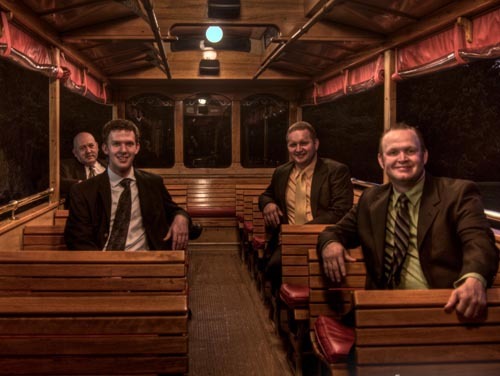 The Great Imponderables consist of Nathan Creel (lead guitar-vocals), Rick Creel (drums), Ben Long (bass guitar-vocals), and Payton Laughlin (Lead vocals - percussion). Although three of the members of the band came from other bands, The Great Imponderables came together as a group in 2004. 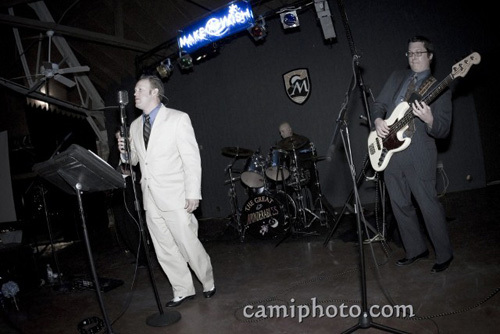 Since then they have performed many corporate events, fund raisers, and weddings. In 2006 were asked to perform a fundraiser for Katrina victims where over 4,000 were in attendance. Their clients include companies like Coca-Cola, The National Endowment for the Arts, Wells Fargo, NC Arts Council, and many others. Members of the band have been with Will Smith, Matt Damon, Kevin Bacon, Timothy Hutton, and still others. The band came together to form a specific purpose: “Provide music that everyone can enjoy and that will motivate those in attendance to dance”. Some of the members of the band used to perform as professional dancers. They know what it takes to motivate people to move. The band is currently using this opportunity to share their love for music with those for whom they perform. They are currently working on over 10 years of music they have worked on individually and as a group. Contact your entertainment representative today about booking this band!